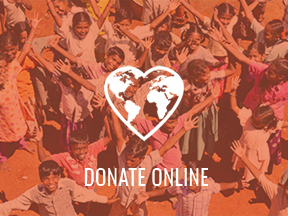 Founded in 2001, GreenFriends is the international environmental initiative of Embracing the World. It is a volunteer-based movement that promotes environmental awareness and participation at the individual and community levels. 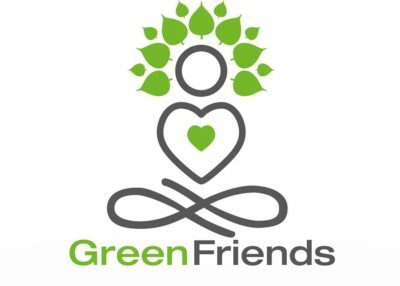 GreenFriends‘ seeks to inspire people to create a loving bond between humanity and nature and to promote environmental awareness by inspiring people to serve and protect Nature. 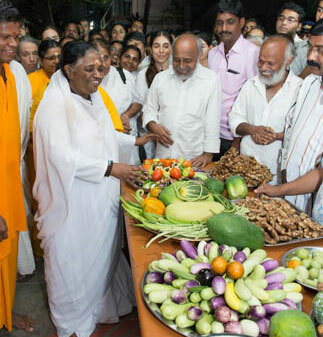 Amma feels strongly that everyone should be able to eat vegetables grown organically at least once in a week, and that the act of growing these vegetables on one’s own is a practical step we can all take to help restore the lost harmony between humanity and nature. Inspired by this call, GreenFriends volunteers have started cultivating organic gardens in their own home and in community gardens all over Australia and the world. 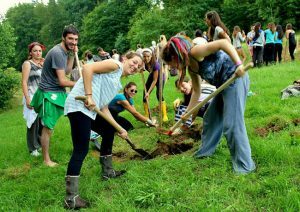 GreenFriends regularly engages in tree planting and the maintenance of plants. 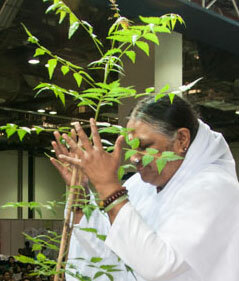 A member organization of the United Nations Billion Tree Campaign, Amma’s network of charities that include environmental projects, Embracing the World, has organized the planting of more than a million trees globally since 2001.